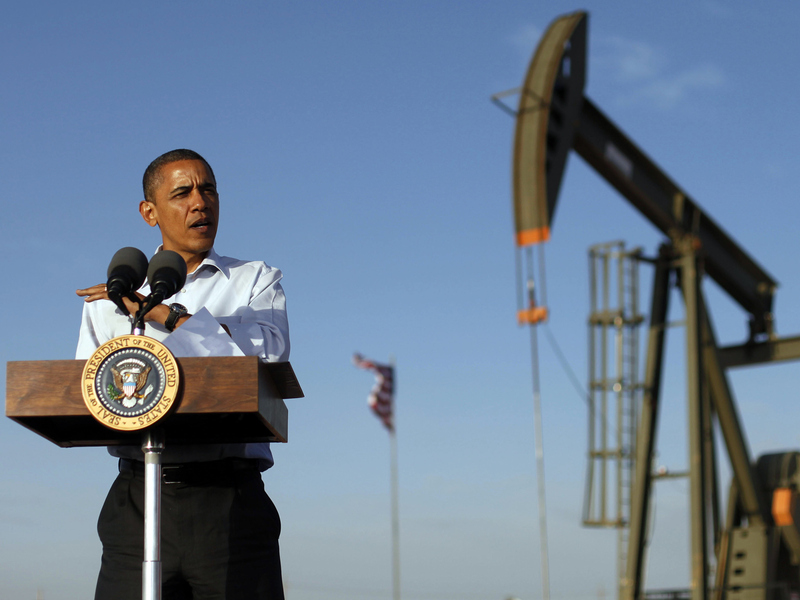 Will President Obama's new oil plan work? (MoneyWatch) COMMENTARY Will President Obama's new plan to reduce oil prices work? As a former commodities options trader, I'll hedge my answer with, a "yes, maybe". Let's start with a recap on why oil prices have spiked from $75 per barrel in October to $104 today. In general, the increase is attributable to the general pickup in the U.S. economy, rising demand from China and India, and anxiety over Iran. The problem is that any and all of the factors driving up oil and gas prices can be magnified by speculation in the markets. The advent of liquid futures markets makes it easy for banks, hedge funds, and even ordinary investors (through mutual and exchange-traded funds) to bet on the direction of oil. Although the same can be said of virtually every market these days, the reverberations can significantly impact the economy when it comes to the oil market. That's why I have previously advocated stricter "position limits," which caps the size of the bets that speculators can make, and higher margin requirements, as a way of controlling speculation. Such measures are a better lever for lowering oil prices than tapping the Strategic Petroleum Reserve, which is meant for emergency supply disruptions. I know that traders hate this idea, but it's clear that speculators have come to play too large a role in a market that affects ordinary Americans and the economy as a whole. How big a role is subject to debate. But in 2008, when crude oil peaked at $147 per barrel, the Commodities Futures Trading Commission concluded that 81 percent of oil trading volume was conducted by speculators. According to economist Ed Yardeni, president of Yardeni Research, as recently as the end of February, "Speculators and traders, in effect, held a record 43.8 percent of U.S. inventories." How could that be, you ask? A series of bipartisan, deregulatory efforts over the past two decades paved the way. When I was a young trader in the 1980s, there were strict limits that prevented financial companies from moving the markets. Only those businesses that actually used the commodity, such as farms, airlines, manufacturers, and the folks that executed their trading activities, were allowed to enter the market and purchase or sell unlimited quantities. In 1991, the CFTC eased up on the rules and exempted commercial traders, who argued that they, too, act on behalf of commodity users. In 2000, Congress passed the Commodity Futures Modernization Act (known more disparagingly as "the Enron loophole"), which allowed investors to trade energy commodities on private electronic platforms. Of these recommendations, the last jumps out as having potentially the most impact. As Forbes' Peter Cohan recently noted, in February 2011, when commodities exchanges raised the amount of their own capital that speculators must set aside in order to trade, the price of oil fell 10 percent within a few months. Regarding the first two proposals, Congress is unlikely to boost government spending before the November elections, so any move to significantly beef up the CFTC is almost certainly a nonstarter. Still, I'm sure that the commodities watchdog, like most regulators, is under-resourced. On the third recommendation, call me jaded but the idea that fines prevents manipulation seems far-fetched.